Why yes, that is a publishing agreement with my name and the name of my manuscript on it! Friends, I have some fabulous news that I have been absolutely bursting to share with you: I HAVE A PUBLISHING DEAL!!! Yup, this is not a drill. My contemporary YA novel, NEVERLAND, has been picked up by Penguin Random House Australia and is set to launch in April 2018! What’s the book about? So glad you asked! NEVERLAND is the story of seventeen-year-old Kit Learmonth, a girl who’s struggling to move on from the tragic events of her past. It’s a dark take on the traditional boarding school novel, filled with late night adventures, sailing, secrets, smuggling and a little forbidden romance. I started working on NEVERLAND after I finished my creative writing PhD, at a time when I was feeling stuck. I’d been studying for so long and with such a great support network around me, it was a shock to find myself facing a solo voyage into uncharted waters. I remembered feeling the same way towards the end of high school when there was suddenly all this pressure to have the future figured out. I dealt with this sense of uncertainty by retreating into the stories I’d loved as a kid: Peter Pan, Treasure Island, The Famous Five. I remembered them as cosy bedtime stories and thought I’d find them comforting, but actually they’re really scary. It got me thinking that life is often like that too: rosy in hindsight, but overwhelming in the moment. In NEVERLAND, I wanted to explore this idea of how we romanticise and even misremember the past, and how that can keep us from moving forward. An early draft of NEVERLAND was shortlisted for the 2015 Text Prize, and since then I’ve been reworking and polishing the manuscript to make it the best story it can be. And I haven’t done it alone. A massive, MASSIVE thank you to my fabulous agent, Danielle Binks. From the minute she came onboard, Danielle has offered amazing support, encouragement and advice, and worked tirelessly to find a home for NEVERLAND. I’m absolutely thrilled to be working with Zoe Walton and her team at Penguin Random House Australia, and can’t wait to share NEVERLAND with all of you in April 2018! The contract is signed! I. Cannot. Stop. Smiling. UPDATE: NEVERLAND now has a Goodreads page, which means you can pop it on your Want to Read list! 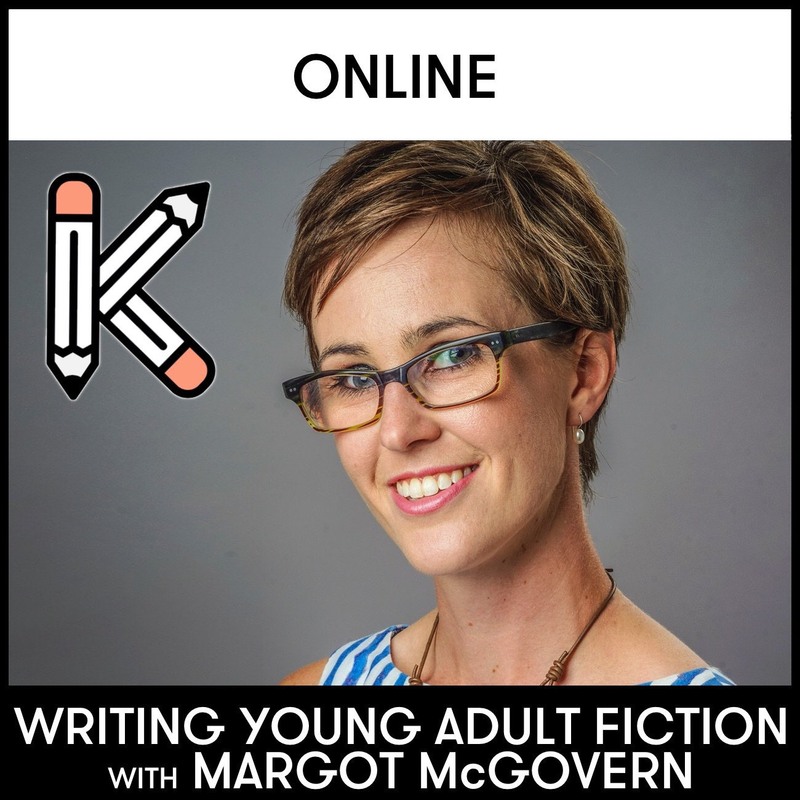 Posted in For Readers, For Reviewers, For Writers, YA and tagged Australian fiction, Australian writers, Australian YA, boarding school story, book bloggers, contemporary YA, debut YA novel, getting published, LoveOzYA, Margot McGovern, Neverland, Penguin Random House Australia, publishing deal, writing life, writing news. Bookmark the permalink. Congrats! That’s so exciting and I can’t wait to read it when it comes out! Massive congratulations, Margot. So thrilled to hear your news. YAY! I can finally, finally start teasing people with how awesome this is going to be … hurry up, April 2018! Such brilliant news. Well done. Many congratulations, Margot. Such a lovely, beaming smile! Baby’s not even here and you’re already a do-it-all mom! I hope you keep us updated on the process. I’m not sure if Penguin will let you have a say in cover images, etc. but reading along with the journey would be amazing! As my husband likes to say, “You is a winner!” (he’s goofy). Thanks Melanie! I will most certainly keep you updated! We haven’t started the editing process yet, so I’m not sure exactly how it’ll all work. It’s going to be a huge learning experience! Congrats, Margot! This is wonderful news. So proud. Huge congrats on your deal!!! How amazing!!! Good luck with it!! !